I have been more than totally delighted by the addition of the Signature power cords into my system. I noticed an immediate clarity and expansiveness in the soundfield. I brought the cords to another system in my group. One of the guys had heard about the cords but was hesitant to take the plunge. After adding the Signature cords to just the amp and preamp he said "WOW" I am going to get one of these for my amp. The sound doesn't lie. Ac power is supplied through a Shunyata SR-Z1 duplex outlet through a Shunyata Viper power cord to a Shunyata Guardian 2. This feeds an Arcam AVR350 through it's stock power cord. The AVR350 is set for bi-amplification delivering 125 watts to the tweeter, and 125 watts to the woofer of each speaker. Speaker wire is shielded, teflon coated, silver/copper alloy wire with Rhodium spades. 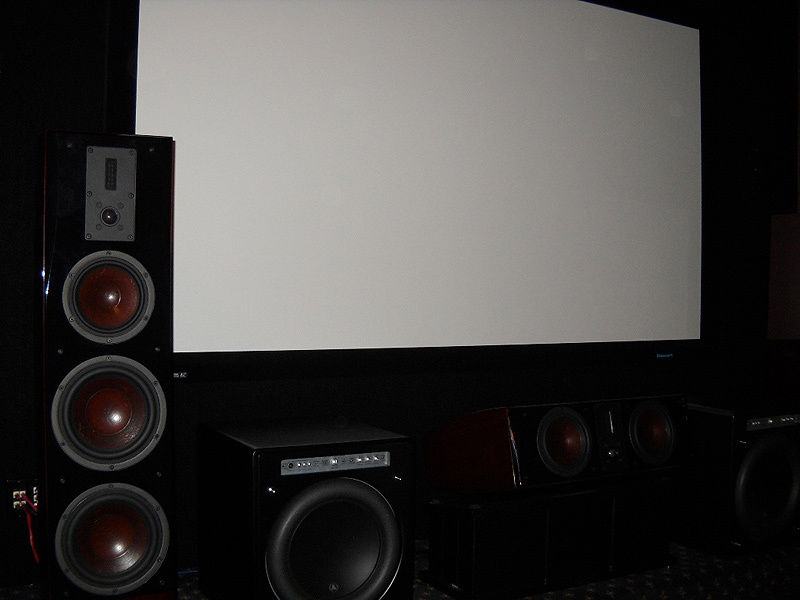 Speakers are Proac D15s. 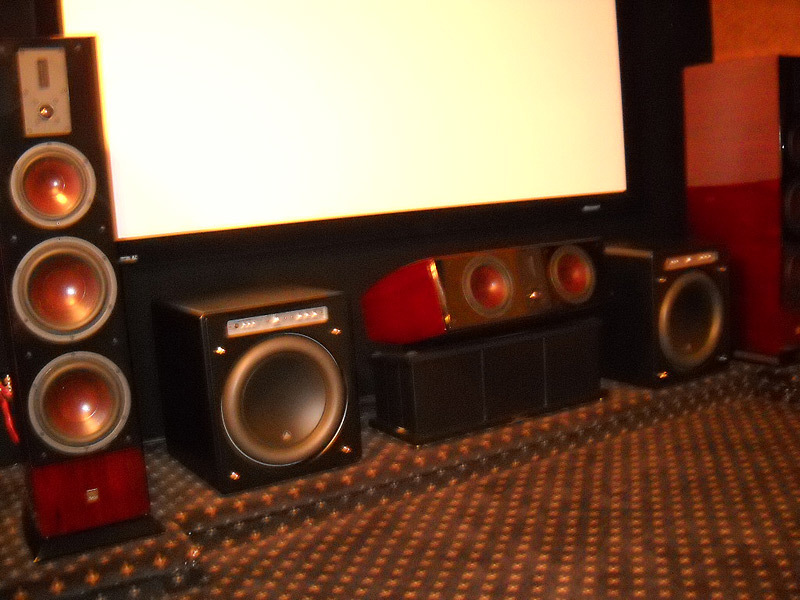 All contacts are doped with Walker Audio e-sst. The source is optical output from an Asus motherboard that kernal streams to the Arcam. The optical connection is a 20' length of inexpensive plastic cable. The player used is Foobar2000. When streaming from Bluebeat.com, in 320kbps, ASIO4all.exe is used to bypass windows volume control and kernal stream directly to the Arcam. Now for the esoteric section! The Arcam stand is a solid myrtle wood apothecary with a 1 cubic foot of open space designed to absorb unwanted vibrations based on the Golden mean ratio. It's drawers are filled with sand, lead shot and carbon fiber filaments. The cut glass window above the Arcam is crystal held together with lead beading. It's matrix pattern, replicated from the interior of the now famous B&W 800, absorbs high frequencies to take the edge off the compressed format of the streaming music. Heee heee. The first paragraph is all true though. I've been listening to Louis's cords for just under a week. They arrived across country from [the gentleman before me on the list] well packaged, thank you. Unpacking them, I found them to be surprisingly light and flexible. My spouse was listening to the stereo using Slacker- a streaming radio station much like Pandora but with better sound. (Slacker uses radio station DJ's to select their genre categories instead of an algorithm like Pandora's) This is a very grainy source of music and perfect for testing the expressed virtues of the LESSLOSS cable. The system, in order of stream, consists of 20' of cryogenically treated romex into a furutech outlet, all connections are treated with Roy's supersilver conducting paste, even the circuit breaker. A Virtual Dymanics Nite power cord reaches from the outlet to an Arcam AVR350, at the inlet it is covered in a 2" sleeve of ARC technologies Wave-X heat shrink wrap. The source is a basic PC computer feed with power filtered through an old 500 watt noise trapper. Code is output optically from the motherboard via SuperNova glass cable to the Arcam. 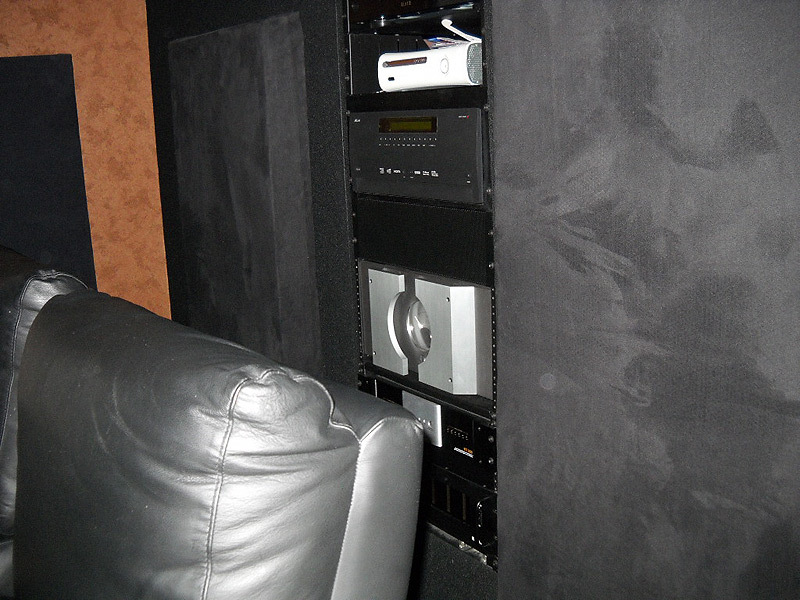 Speakers are Proac D15's bi-wired from the Arcam, each tweeter and mid having it's own 125 watt amp. I tried the mid range cable first and noticed some improvement. The treble was less grainy, bass was tighter, and background more black. The soundstage was a bit wider. Most notably, the sound was slightly warmer and more laid back. High mid and treble less forward. I switched the cable back to the Virtual Dynamic Nite- The Nite had a bit more punch and speed, but was also forward and more etched. I then switched to the mini- Less Loss's low end cable. It was unremarkable in it's difference from the VD Nite- a used powercord I found on Agon for about $170. There were differences, but they were slight trade offs. Finally, I plugged in the DFPC Signature cable. This cable really does reduce jitter. The whole sound system eased into clarity like a camera lens pulling into focus. The cable made my system very laid back, smooth and non-fatiguing. There was a soft almost sleepy ease about it. I felt it was slightly slower than the Nite, had less punch that the Nite, but it imparted a very enjoyable, soft, velvety quality to the music. The level of change was on the scale of a good equipment upgrade. So, even on a rather low end system, like my solid state integrated ARCAM, the mid and high end LessLoss cables made a difference. Are they worth it?? I think yes, if you have the disposable income, and you would like more air and smoothness in your sound, you should give these an audition. I am french and have a very high quality system, and am always interested in any possibility of bettering it. I read what LessLoss has done in the USA with the LessLoss tour and wonder if you will do the same for Europe, especially France. I am interested in the LessLoss Signature and the Firewall. 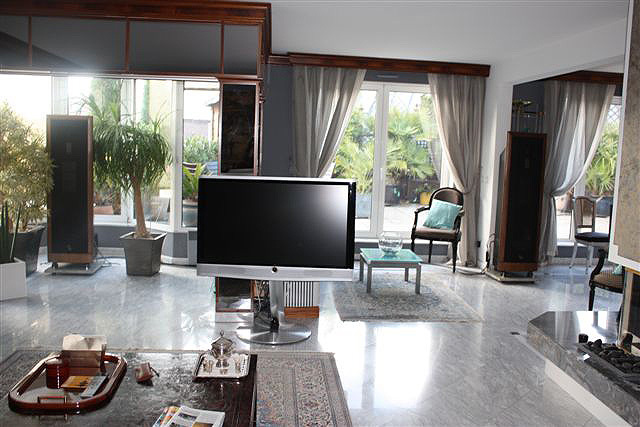 First, a view of my living room and of my system. 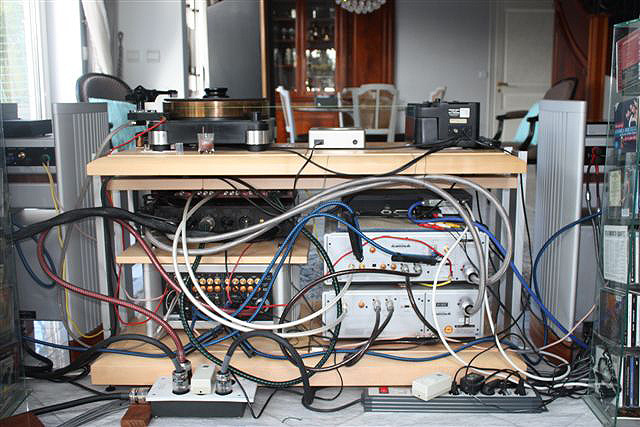 You can see the rack from Finite élément, the mono block amp from Halcro, preamp also from Halcro. 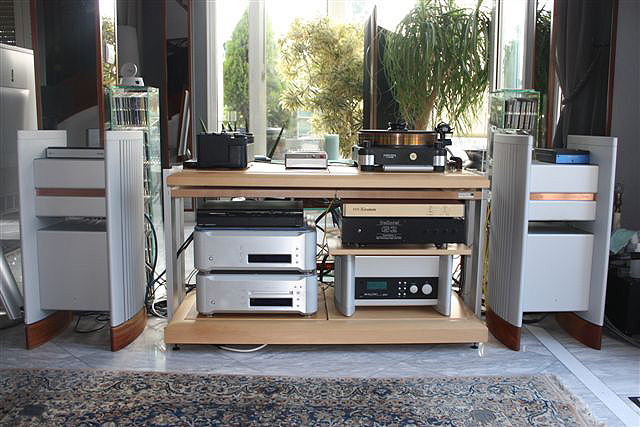 Vinyl system: Micro Seiki turntable, SME 5 arm, Koetsu Onyx Platinum cartridge, Mexcel cable to preamp. 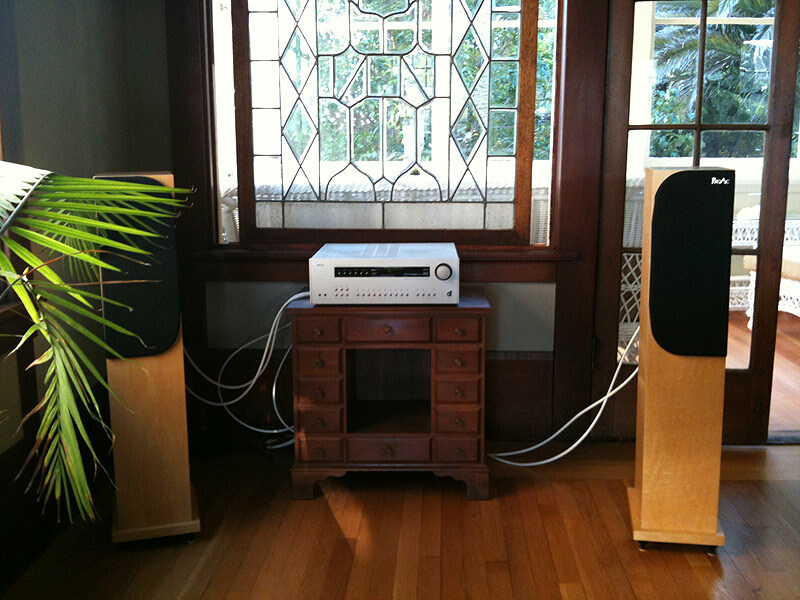 CD system: Esoteric P-03, D-03 and a Grimm Audio Clock. Every component powered by a Dart Zell Filter power cable; AES XLR by Mexcel Esoteric; Power for Halcro amp and preamp by a Furutech power cable to a Furutech power distributor. The power cable to preamp is Mexcel; power to amp: Furutech. Interconnect and speaker cables come from Audioquest: the Blue Sky Series Silver. 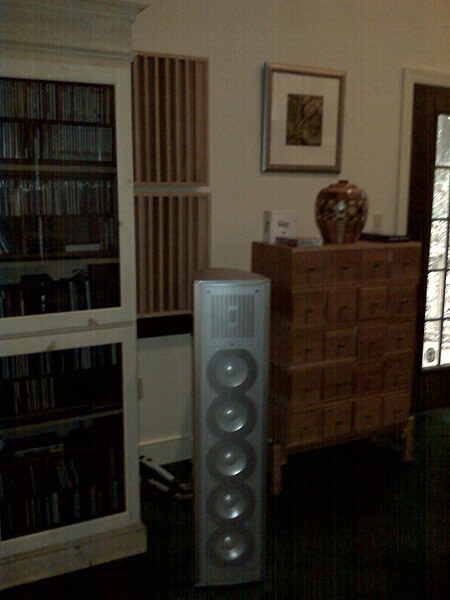 Finally, speakers from Infinity: Epsilon model no longer available, they are hybrid ribbon and dynamic. The power cable for the dart zell filtering the CD system is an AC cord from Tara Labs. With all this equipement I spend usually two hours each day listening to music. My preference is baroque, but I like every kind of music, classical or not. My last acquisition was the Grimmaudio C C 1 clock. I am very satisfied with my vinyl system and CD system. They are, after this last step, as good as each other. So the final pleasure remains focussing on what is on the record. It would be interesting to hear if the LessLoss DFPC Signature could make my system sound better. After testing carefully, my conclusion is very positive. First, I tried two Signatures between the Furutech TP609 and my amps: the quality of bass improved significantly by comparison with my Neotech-Furutech power cables. 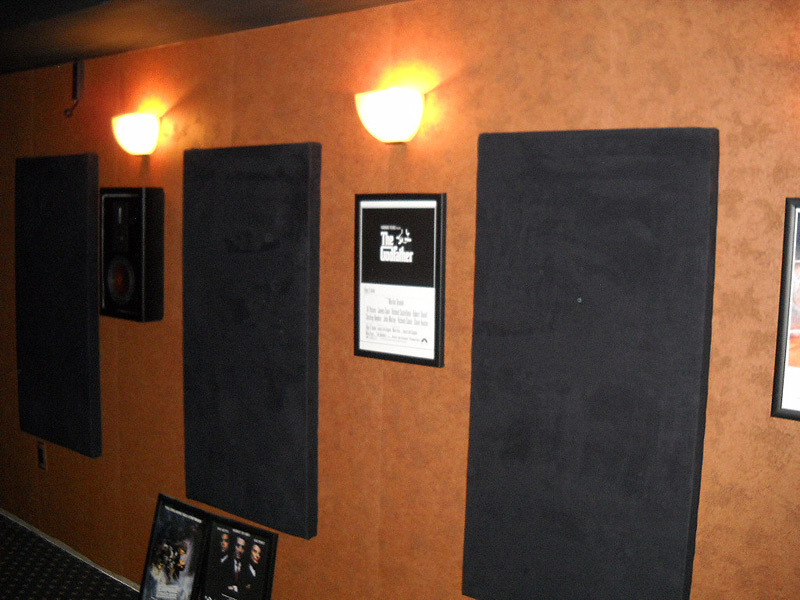 Second test, one Signature from the wall to the Furutech TP609; two Originals from the TP609 to the halcro mono amps. The result was a very significant improvement in every aspect of quality of listening: greater transparency, and so on. But perhaps it seemed the bass was less present than in first test. Definitely, the result was very positive. Third, placing an Original from the wall and the TP609 and two Signatures from there to the amps: clearly the result was inferior to the previous one. I cannot presume what could have been the sound of three Signatures. Perhaps same tranparency with better bass? Forth, I swapped the Tara Labs power cord from the wall to the Dartzeel filter which powers the Esoteric P-03 / D-03 and Grimm Audio clock: a very clear improvement when using the Signature. Finally, I tried an Original instead of a Neotech on the Grimm clock. The result was not apparent at first. I used a very intereting SACD with baroque instruments which sound harsh. The result in the end was that the harshness disappeared and a richness in timbre became evident which was superb. Conclusion: the five cables (three Signatures and two Originals) added a new level of quality to my system. For my testing, I used mainly SACD, especially Volume 7 of Sonates for Violin and Pianoforte from Channel Classic with Gary Cooper and Raphael Podger. Extremely interesting but very difficult to reproduce. Needs a very high quality system. I am interested in changing my five cables for LessLoss. Thank you very much for letting me having the opportunity of this trial. Very best regards. I am one of the few audiophiles who know how much of a difference a great PC can make in a system... and expensive does not neccessarily mean better. I currently have 4 JPS 'Aluminata' PCs and 1 Crystal Cable 'Ultra' PC in my system. If your DFPC Signature PC betters any of my current cables, I will buy it and try another. My preamp uses 2 PCs. I have read, with interest, your views on cable geometry and physics and find them very unique. Great cable! With no filtering circuitry at all, it somehow makes the sound come alive even though it's connected to a 15 cent outlet which is wired to the cheapest copper wiring your electrician could find. Don't know how lessloss does it! Especially at this price! I've been a music lover for over 30 years! Then a lot of changes with amps from Luxman, Burmester, McIntosh. 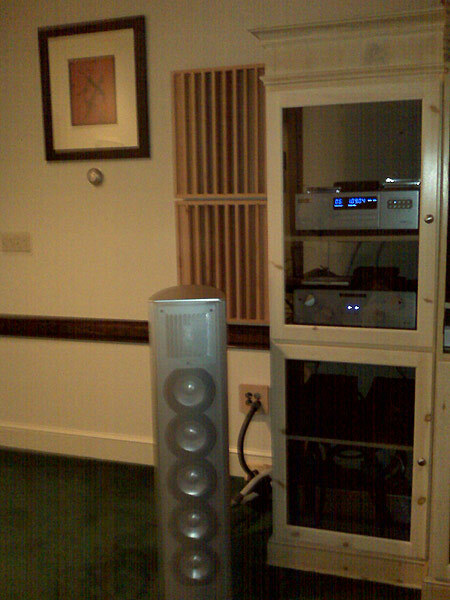 A nice combination Restek Preamp, Poweramp, Cd-player and Dynaudio C3 Speaker. 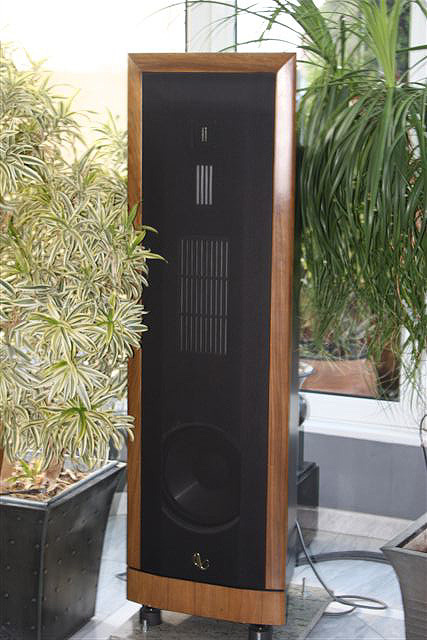 Another fine combination was Einstein-Audio with Lansche No.4 Speakers. All cables Stealthaudio and Bastanis. Antivibration table from Halcyonics, and artificial ground from Acoustic Revive. - All cables Stealthaudio and Bastanis. The LessLoss cables work very fine, they bring in imediately some calmness to the music. After some days the soundstage became very wide angled, and the instruments became precisely located, with a very good 3D image. I think they are absolutly worth the money, and these cables make any equipment perform a step closer to real music. Been an Audiophile since 1990. Started off with Bose multichannel system with a simple Denon receiver. I moved on from Bose to Paradigm Mini-monitors in mid the mid 90's. Since the release of DVD I became obsessed with this hobby. Nearly 18 years later, I've invested nearly $60k in my audio and video gear. I've always been a skeptic of high end power cables but the professional reviews are becoming hard to ignore. Like many others, I was very skeptical about "high-end" cables. As a result, I never considered the investment so my doubts on upgraded power cables were not based on personal experience. However, when I was invited to evaluate the LessLoss power cables, I was more than happy to give it a chance. Part of the excitement of being an audiophile is the fun derived from trying new gear. For me, this was a great opportunity try something new and keep an open mind without the risk. When I received the cables, I immediately replaced the stock cables on my Bluray player, processor and amp with the LessLoss. The first test for me was my favorite 2 channel reference Chesky recordings. At first, I thought I was imagining things. I said to myself "am I really hearing a difference?". Guitar strings had more substance, bass sounded tighter and more controlled, the background was blacker with a deeper soundstage. I was amazed but I still didn't want to believe it. I called in a audiophile buddy of mine and asked if he could help me with some blind tests. We played the same track for each test and I asked him to randomly replace the stock cable with the LessLoss. I was able to pick out the LessLoss almost every time. Again, instruments had more substance, deeper sound stage and the music had a level of excitement I didn't experience before. All I can say is, I'm a believer. Get these cables! 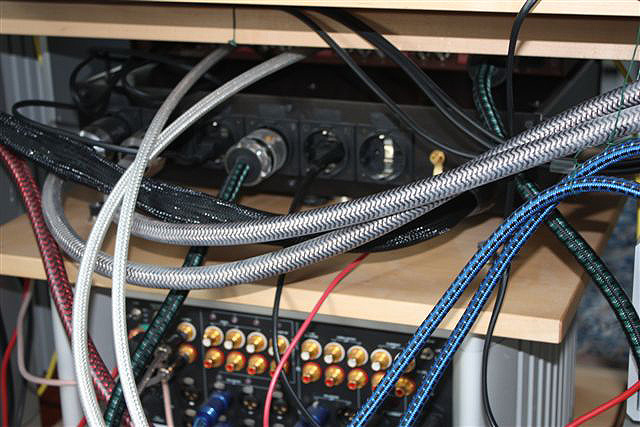 If you can't replace all your cables, replace your source gear first. You will not be disappointed! Not to mention, the cables look great too. They really add a touch of class to your equipment rack. I have had my system for about 3 years. My experience is that is produces music that is highly resolved with a soundstage that is both deep and wide with instruments in their proper places. Tone is very neutral and realistic (as much as is possible given limitations of room, recordings etc.) Every component and accessory detailed above has added to the characteristics noted above. 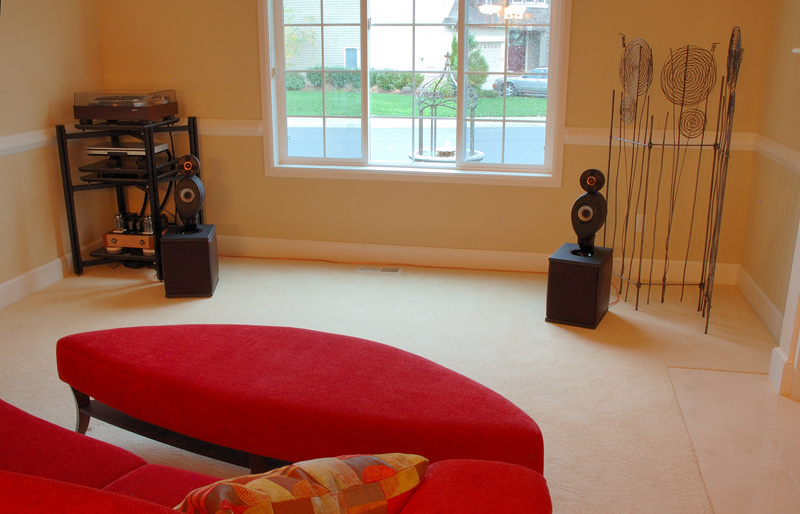 System strengths are acoustic performances of all types. Weaknesses are lack of deep bass need for hard rock and heavy metal, though these genre are still very listenable. In heavy rotation on the system are Mozart and Joe Satriani. Thank you again Louis for the opportunity to audition your fine products in my home. Your risk-free trial program is a great idea, please keep it going. Because of work and personal commitments, I was not able to test the product as long as I wanted (don’t know if that is really possible), but I was still able to get in about 12 hours of play time with about 4 hours of critical listening. 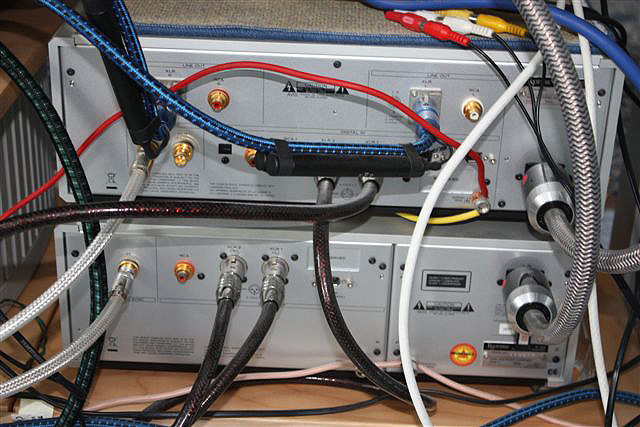 Plugged in the LessLoss DFPC cable to my Almarro amp and had a “WOW” response. The difference was significant. There was more of everything. More bass, more mid, more sound stage. By more, I mean, a fuller, smoother, more natural sound. As noted in my introductory statement, my system with the standard cable is very transparent, meaning more sterile, lighter, less life-like, when compared to the DFPC set-up. My 15 year-old daughter noticed the difference with the DFPC right away and liked it very much. What I was able to confirm again, is that my system is very good at resolving component changes. Every “tweak” that I have made so far, from fuse swaps to isolation feet, has changed the sound of the system. Such changes have made noticeable, but moderate, impacts on the system’s performance. The DFPC had the most significant impact of a component change on the system’s sound to date. I was not expecting that. One of my challenges in trying to form an opinion about the DPFC is that I have been listening to my "new" system for about three years and was very satisfied to date. Your cable significantly changed the system's performance for the better in almost every way, except that I have gotten so used to the high-end transparency of my system (I am not saying this is a good thing) that I kept feeling that something was missing. Where a Chesky recording of Rebecca Pidegon allowed me to hear what I think was the sound bouncing in the recording studio on the stock cable, the DFPC muted that “artifact” but presented Pidegon’s voice in a more natural manner. Was the artifact, in fact, just distortion? I don’t know, as I have never tested other power cables before to see how that particular sound changes. 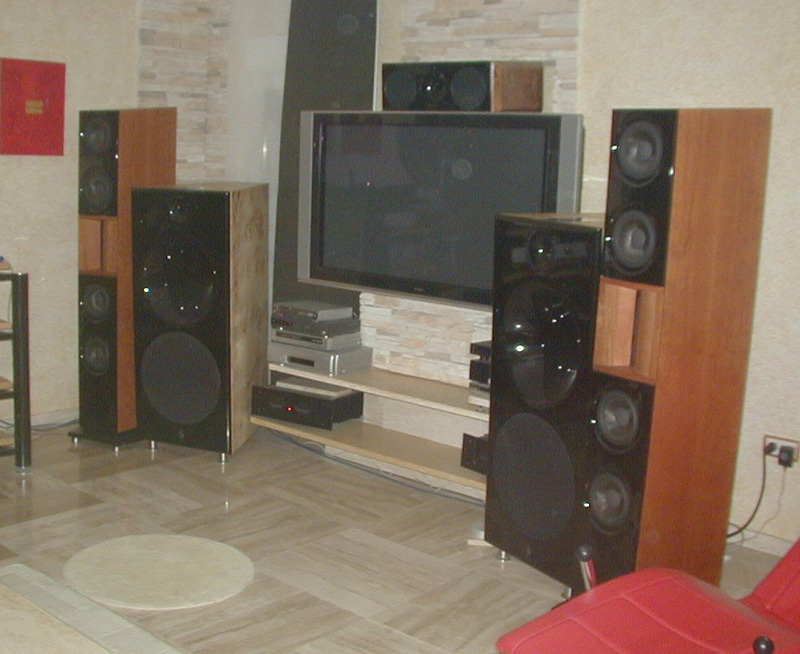 Other listening sessions confirmed the initial impression of a fuller sound. Again, as my system is relatively sterile, I was overwhelmed by the “more of everything” which I had not heard before. On balance (with the weight significantly in your favor), your cable provides a more enjoyable listening experience because I had more “near life-like sound” moments than ever before. 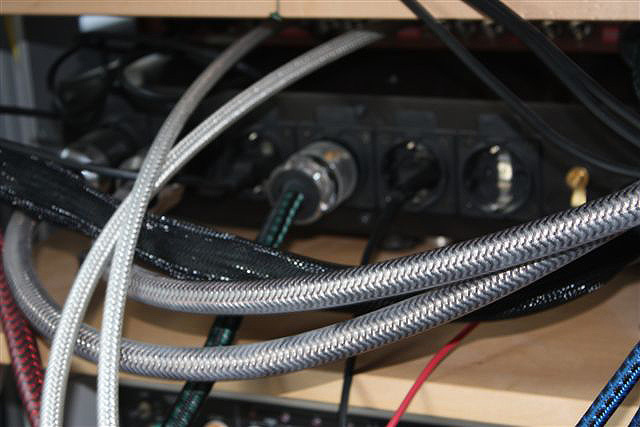 As I was able to A/B the cables with my old set, I came away with a very favorable impression of your product. 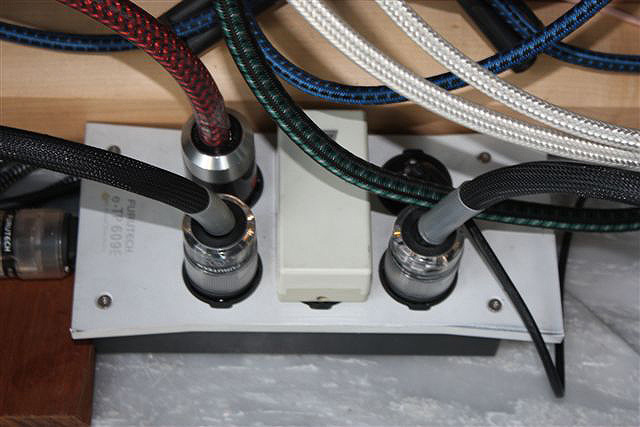 I have learned a lot about my system and how significant a power cable can change a system’s performance. I am still absorbing and mentally digesting my experiences during the trial and wish I had more time with the cable. Louis, thanks again for the trial and for making such an impactful product. For 35 years I have involved myself in our hobby. My primary focus has been on my 2 channel system and only recently have I invested in higher quality video. After playing with power cables over years, I stumbled across LessLoss and became intrigued by the number of endorsements and reviews I read. If the DFPC had not been raved about by mainstream reviewers I may have let myself become cynical based on the consumer reviews completed as part of what I suspect was a product launch program. To this point I had bought into the belief that power cords make a difference but they were not "a component" and were system dependant. The DFPC has changed that paradigm and I never thought that I'd gladly endorse a $600 power cord to place on a $1000 piece of equipment. It really is that good and I've taken the attitude that it is a lifetime product that will be with me as electronics fail or are replaced. I purchased one cable and first tried it on my Sonic Frontiers Line 3SE+ with Valvo tubes. Immediately I was struck with the new size of my soundstage. There was a profound power to the music without the typical sacrifice of a loss of micro details. In fact the details were clearer without any "edge". The noise floor had definitely been lowered. When I audition new products in my system I tend to strain to hear differences in detail retrieval. I didn't have to do that with the DFPC; it was all just there and most importantly, balanced - no frequency was making its presence noticed at the detriment of another. After about 30 minutes I noticed that both of my feet were tapping the floor during every song. For me this is the most important factor - involvement in the music and the feeling of participating in it! Since that original purchase I have sourced all of my components with DFPCs and after each installation heard new improvements. 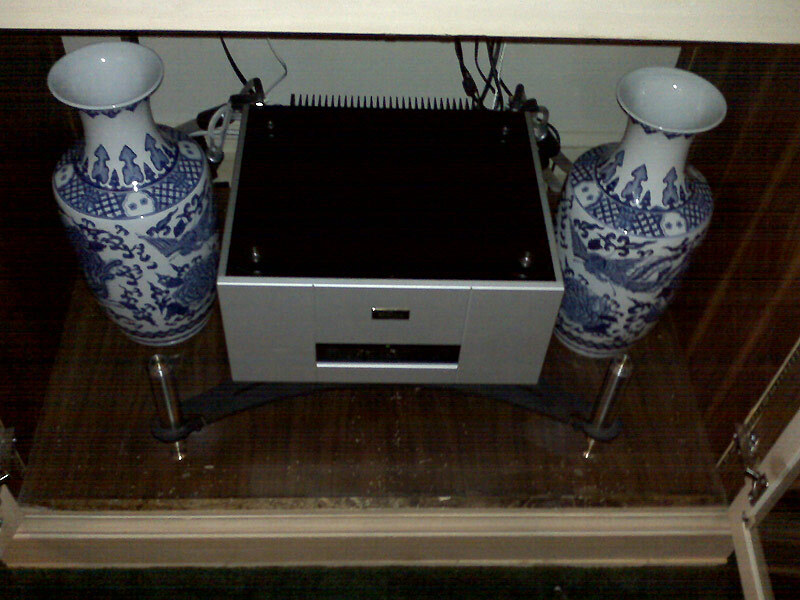 My phono preamp is like a new product with improved pace, strength, and detail. I mentioned earlier that I recently began to invest more money into video reproduction. I now have a 58" plasma TV and an Onkyo 876 receiver. I bought the receiver because of the Silicon Optix HQV video processing chip that is much better than what is in the Panasonic TV. I have been astounded by what the DFPC did for the video processing; everything improved including better blacks, contrast, detail, colour saturation, and naturalness (less digital looking and more film like). On top of the product quality is the exceptional customer service from Louis Motek at LessLoss. He is in that rare breed of company owners (like Rogue Audio) who demonstrate humility along with a customer centric approach and make the purchasing experience a pleasure.